Coupons, savings and deals! If you find one is not longer valid, shoot me a comment so I can delete. Diving can get expensive so to me it is always nice to save a little on a meal, dive or cocktail. I have stayed, played and ate at many of these places. If you are a business and would like to offer a discount, let me know. Villa Caprice – May-October save 9-19%! mention Danielle’s Dives for discount! This is beachside, has a pool and is steps from the water. Located across from beach, outside shower for gear, pool and great location & walking distance to everything! These guys are awesome! Air fill cards 20 for $75 plus 10% off all rental merchandise. in their natural habitat and experience Fantastic Sunrises. tropical drinks and recipes straight from Islamorada. Dine outside on the patio or view the 1,500-gallon circular aquarium in the indoor dining area. Relax in the wonderfully unique Marlin Bar surrounded by one-of-a-kind fishing memorabilia, including world record certificates and 1,000-pound Blue Marlin mounts. The menu is kid-friendly, and they can feed the fish in our lagoon. Florida Stone Crabs October 15th until May 15th. Open Monday-Sunday 11 a.m. – 10 p.m.
Florida Stone Crabs until May 15th. Very moderate prices. Full liquor bar. Open daily for lunch and dinner. Here is a coupon for you if you are diving in Deerfield Beach. 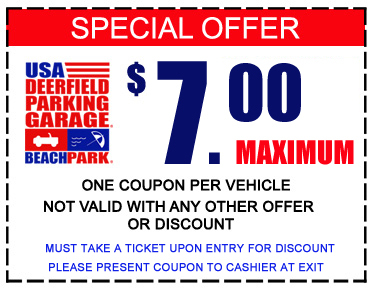 If you park in the parking garage across from Island Water Sports, You can save up to $3 by print out this coupon! $10 off 1/2 day boat rentalThey also j=have a coupon for a free rod/ reel rental and $10 off waverunner rental. Robbie’s Marina has been the #1 location to experience the real Florida Keys since 1976. Explore the Keys like Christopher Columbus on your own boat, or fish the waters that make Islamorada the sportfishing capital of the world. Do it all in one incredible location: hand feed hundreds of wild tarpon at our docks; rent a 18’-24’ powerboat, take one of our incredible waverunner tours or browse our artisans village of unique shops. If fishing is your passion, whether fishing on our party boat, touted as one of the best in the Keys, or our charter vessels, you will make memories of a lifetime that will fit any budget. We offer guided eco tours, snorkeling, state park excursions, island tours, and dining. Fun for all ages! Immerse yourself in 4,000 years of diving history! From the ancient days of Gilgamesh to the modern days of recreational diving, divers and non-divers alike will enjoy this interactive museum telling the story of mankind’s quest to explore under the sea. See early diving machines, SCUBA gear, rare diving helmets and deep diving armor used to explore the abyss. Adults $12, kids $6. 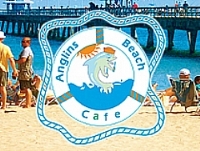 Open 10 a.m. – 5 p.m. daily. $65 OFF full day boat rental.